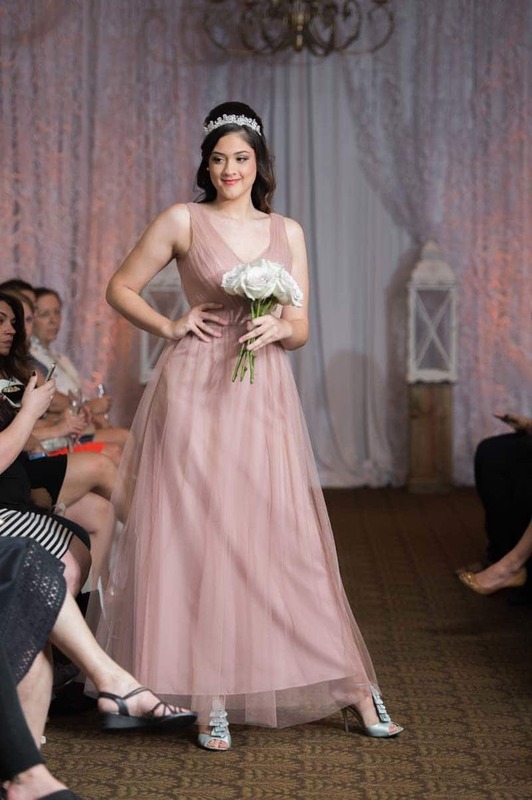 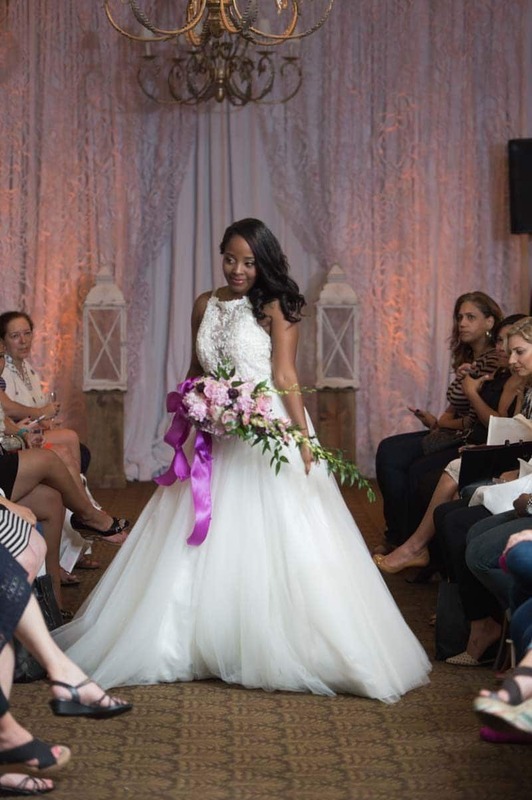 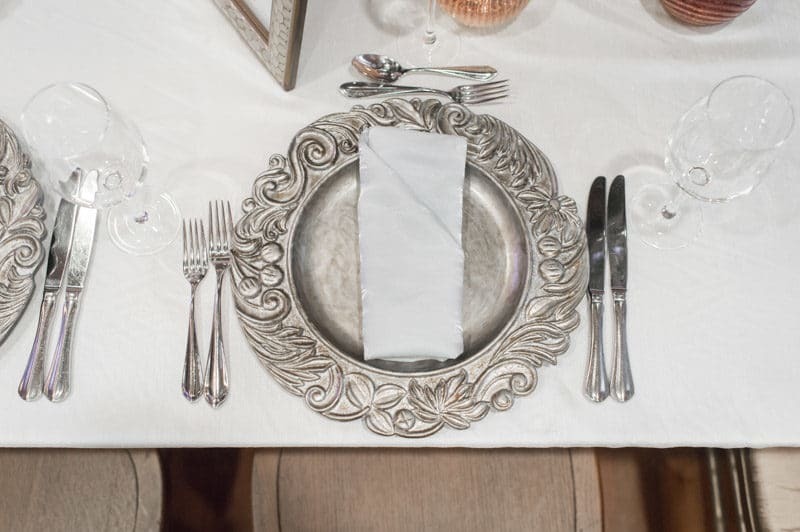 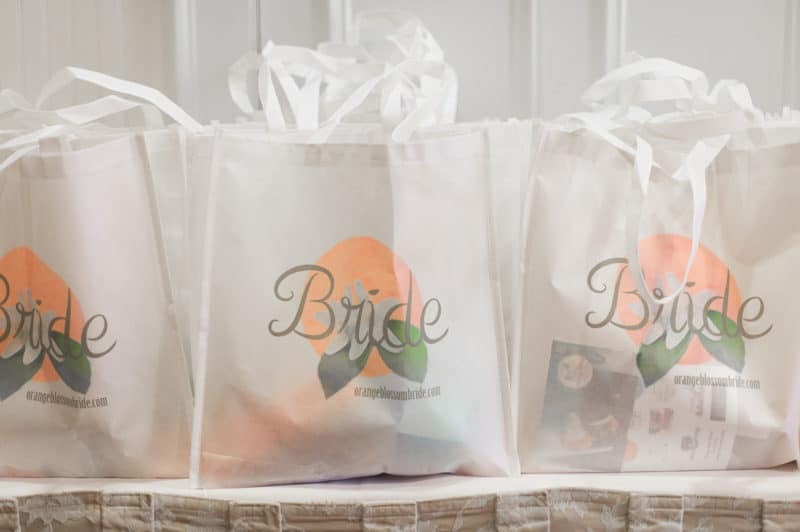 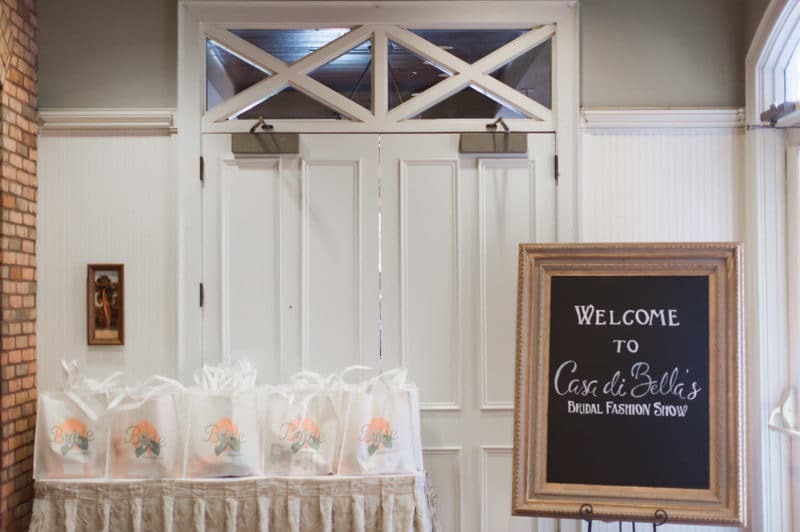 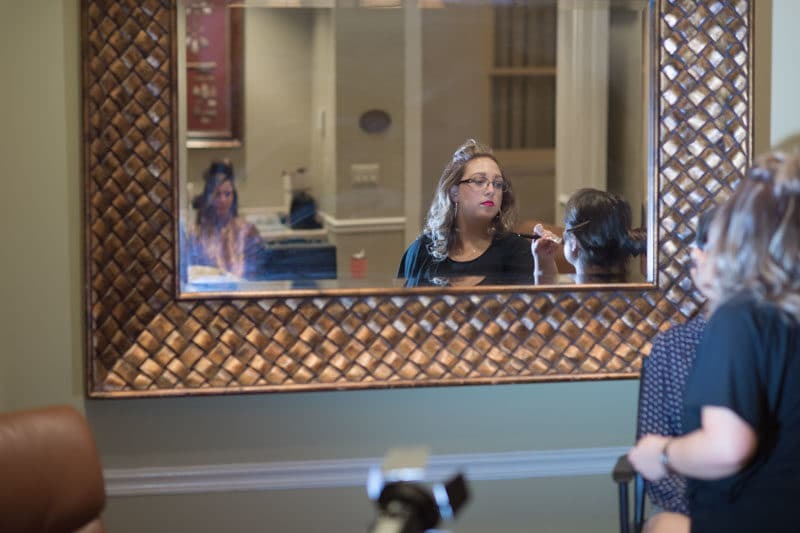 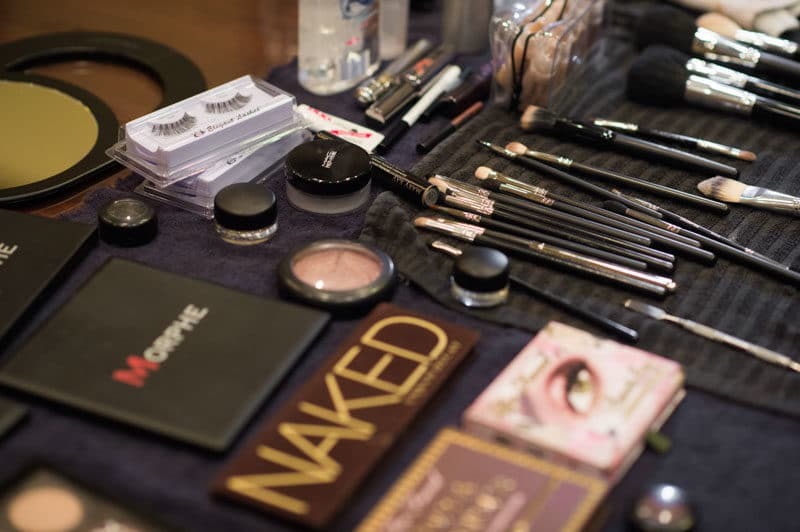 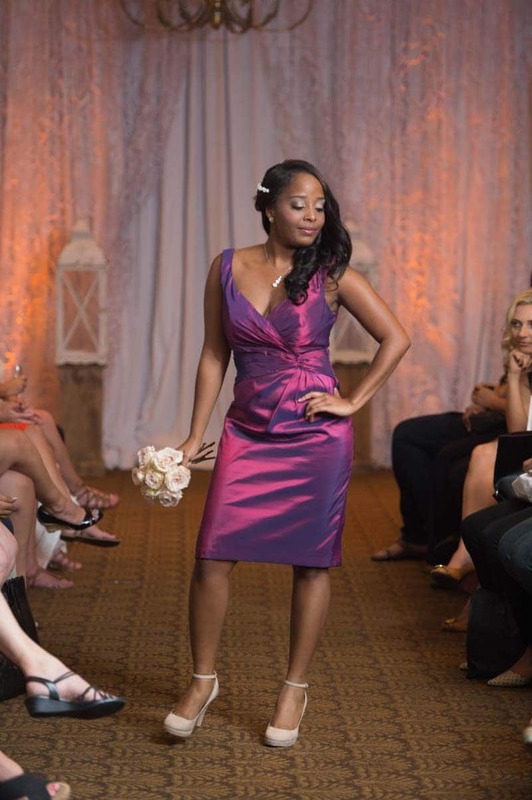 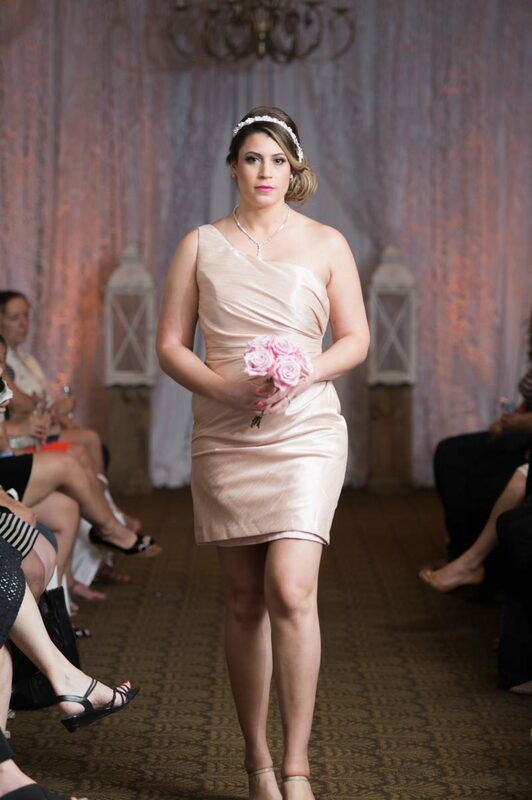 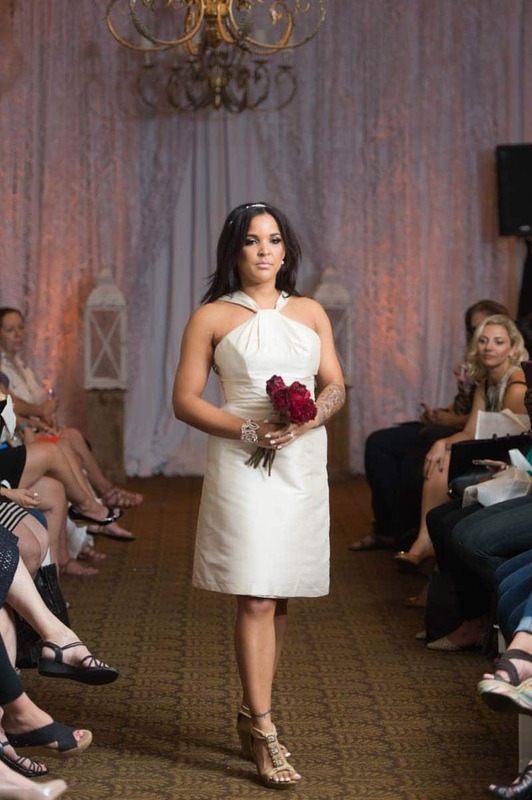 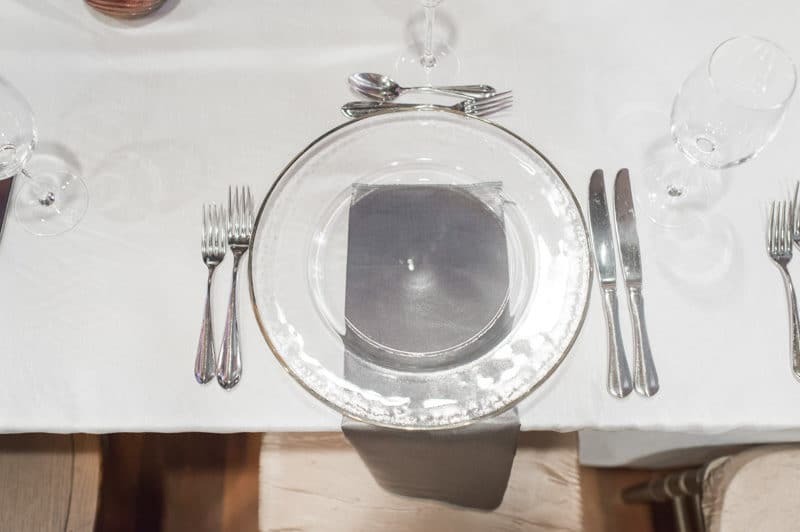 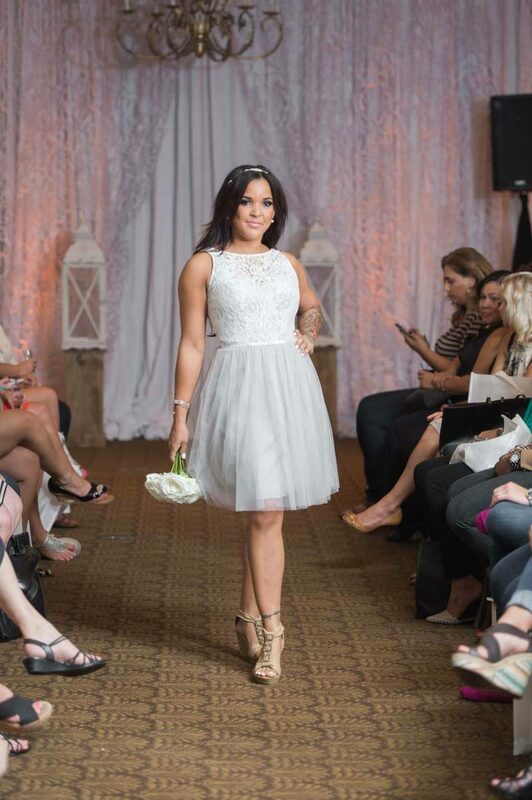 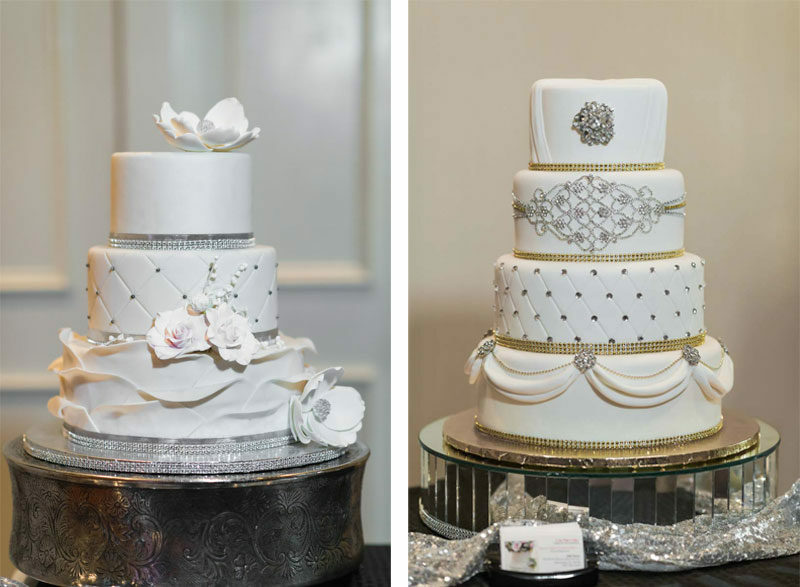 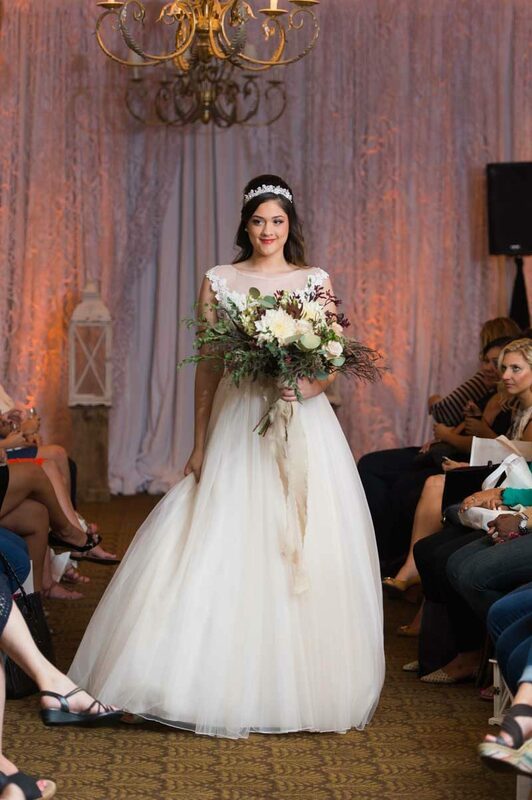 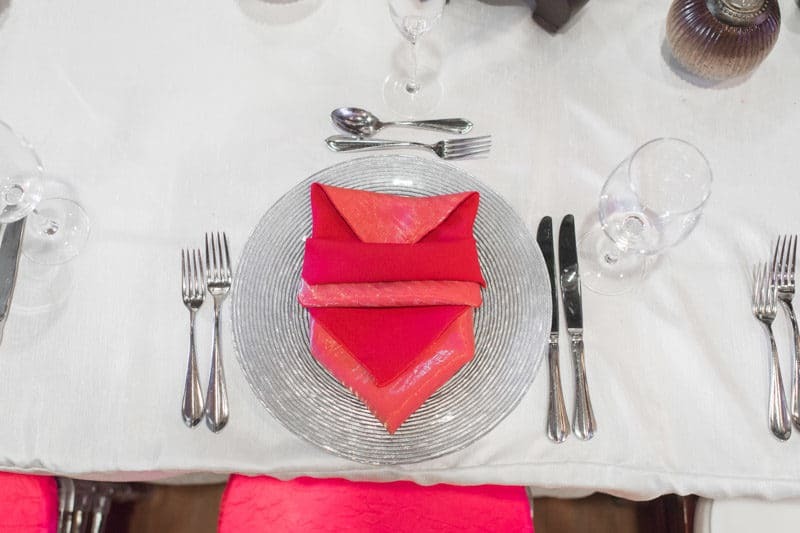 Last month, we teamed up with Casa di Bella for their first bridal fashion show. 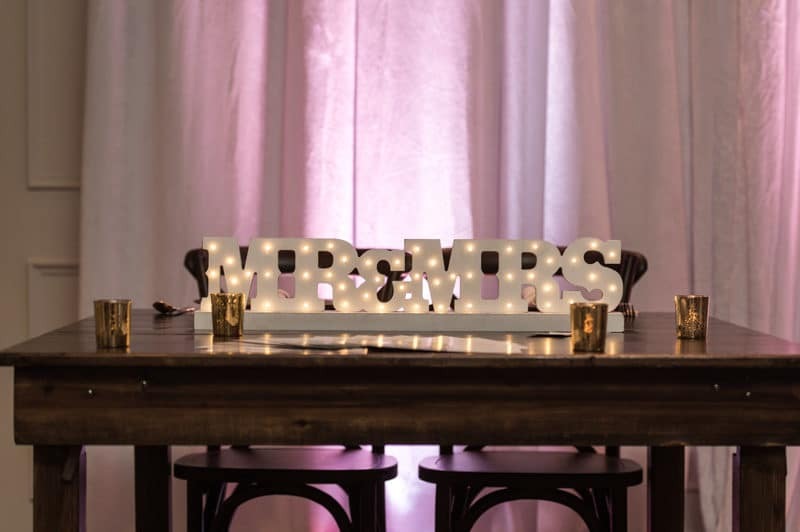 We had no doubt the event was going to be amazing, but then add a beautiful venue and top notch vendors, along with lovely brides and it was an absolutely lovely intimate evening that we won't soon forget! 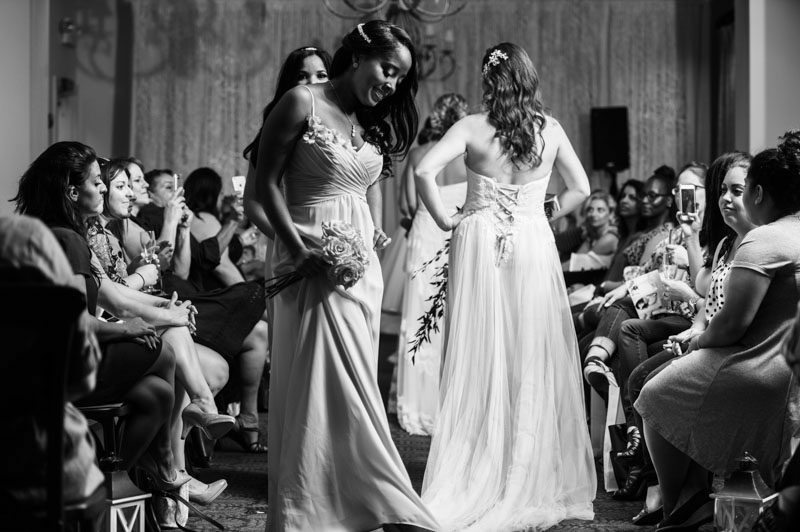 Brides were greeted with photos by a vintage Rolls Royce provided by Joseph's Entertainment. 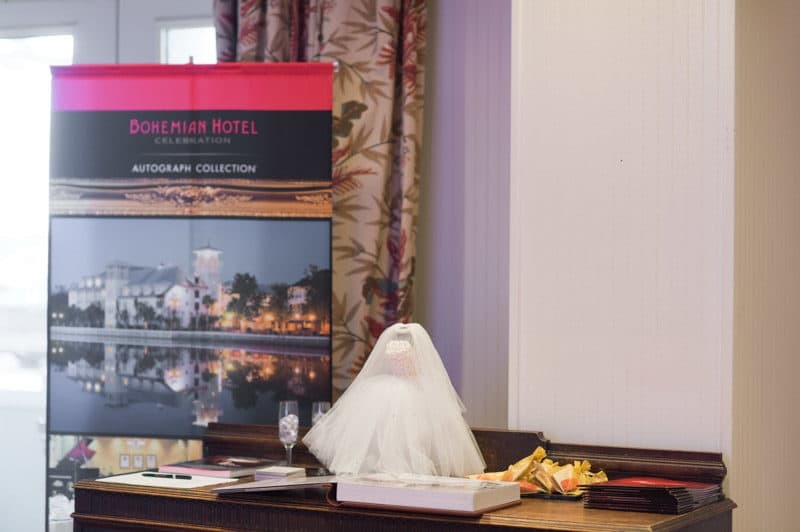 They then continued to the vendor room for champagne and appetizers at the stunning Bohemian Celebration, who were so kind to host the event. 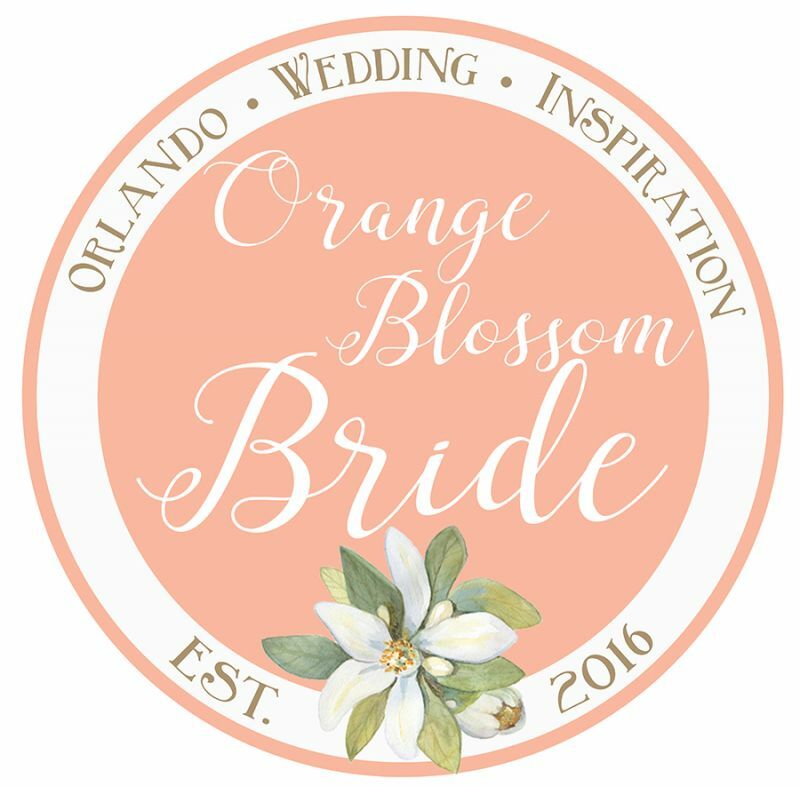 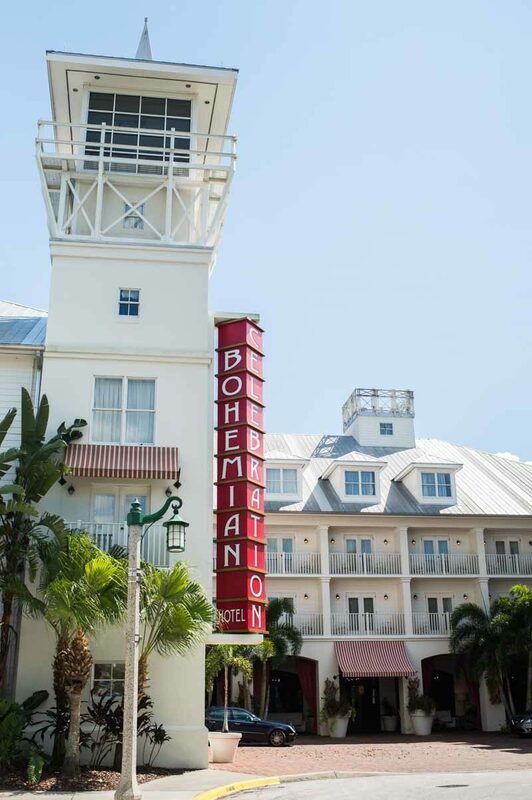 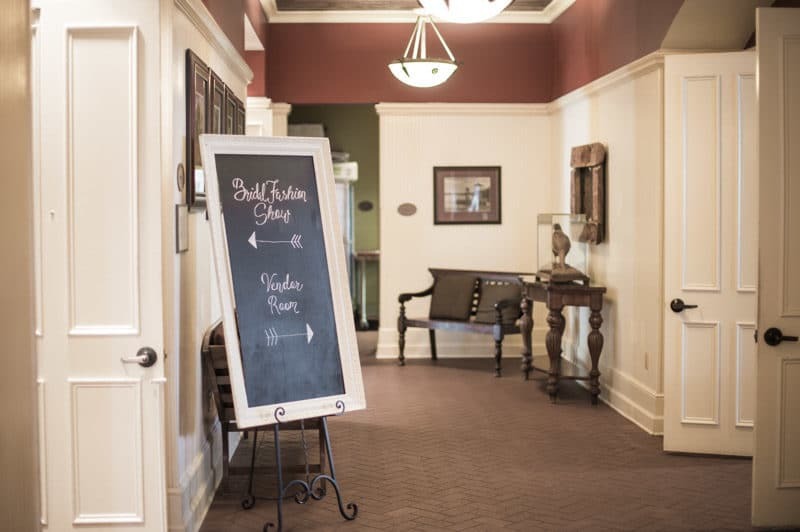 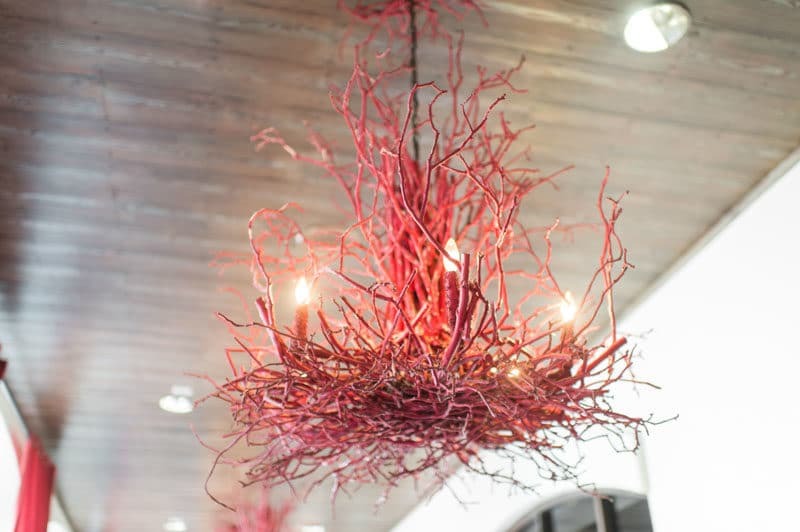 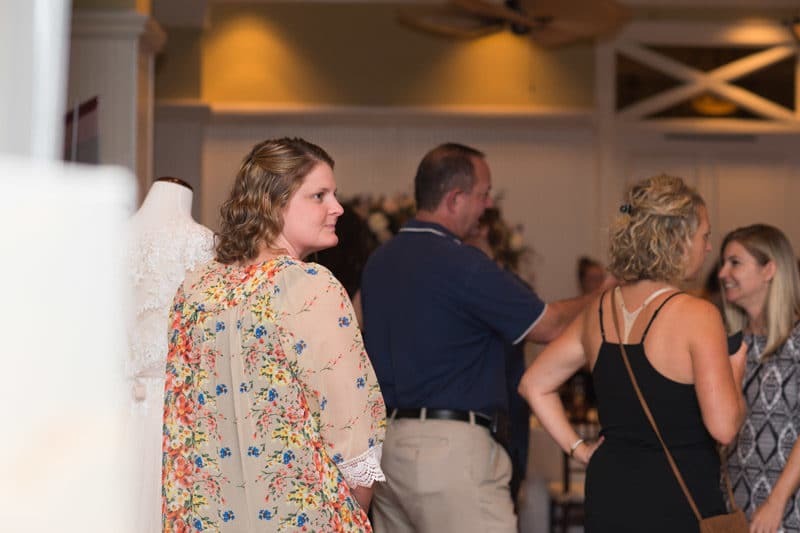 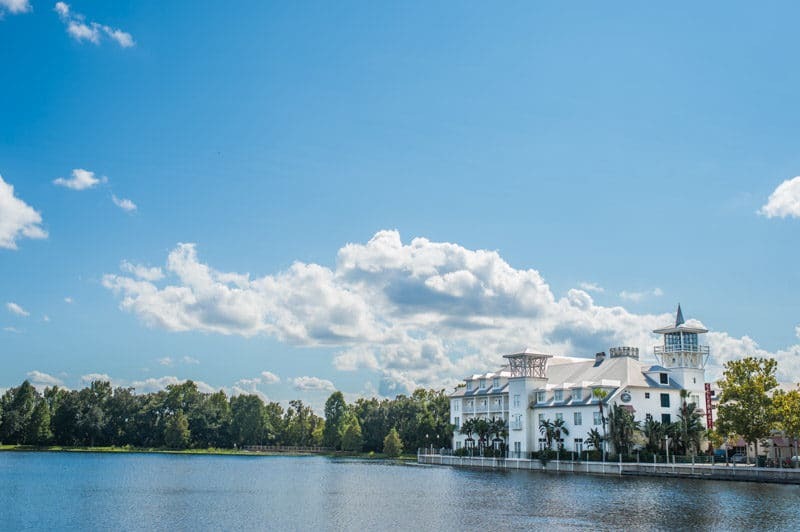 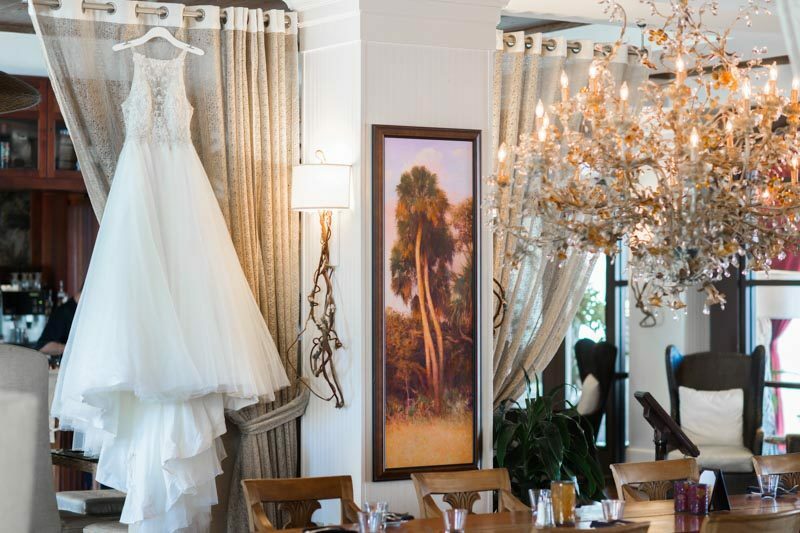 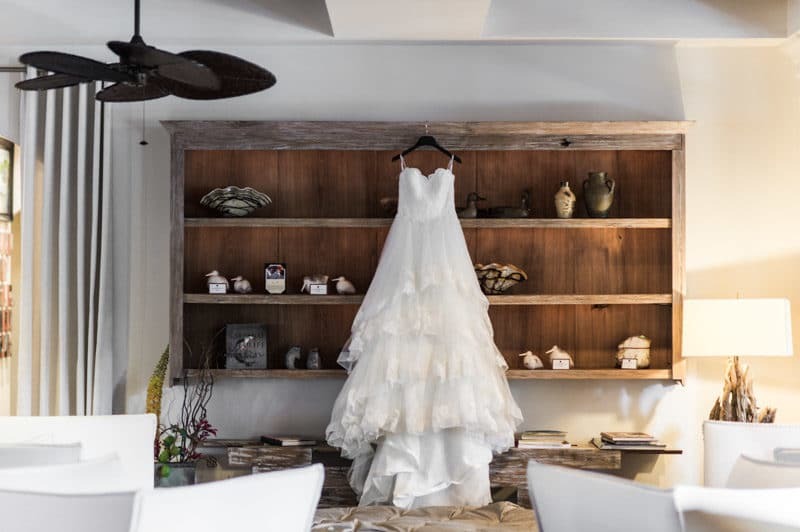 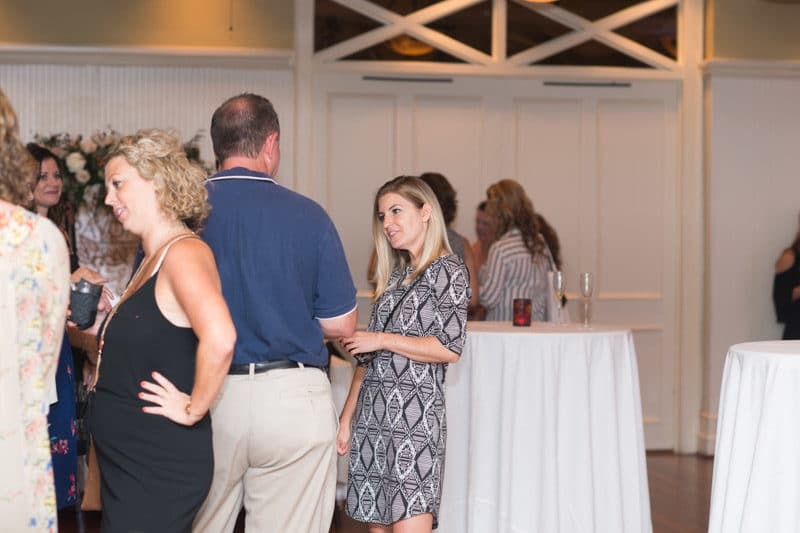 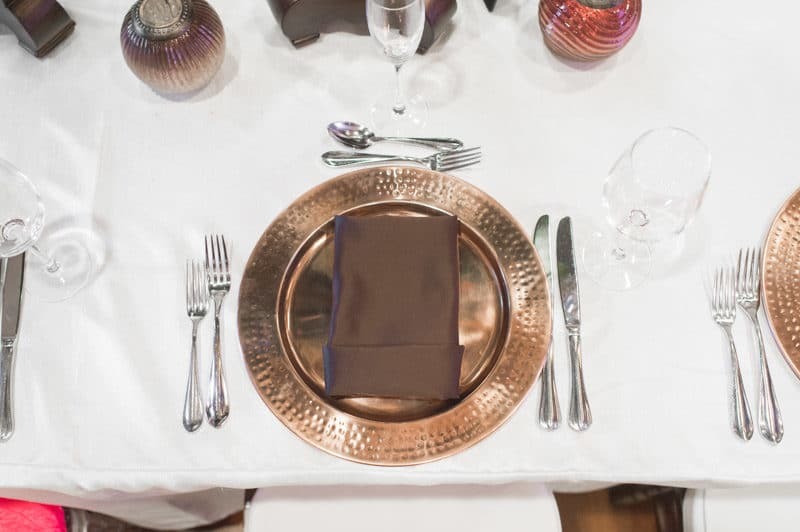 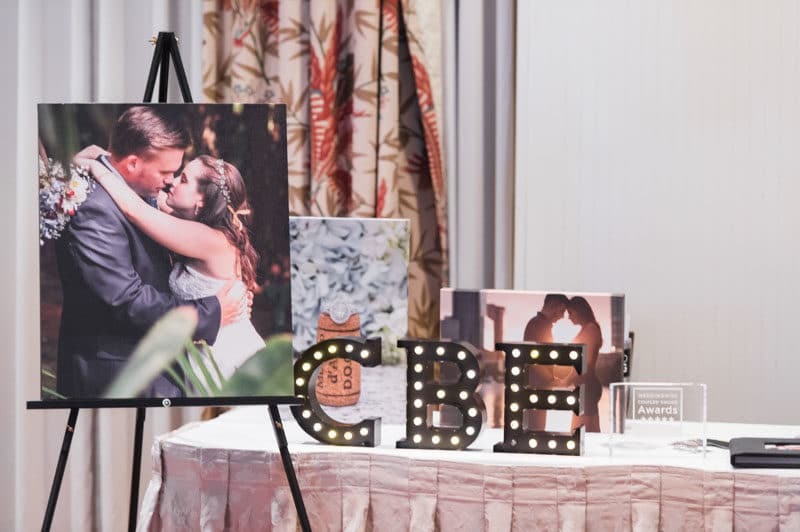 We love this Downtown Celebration venue for it's beautiful Old Florida charm and it is located right down the street from Casa di Bella's boutique. 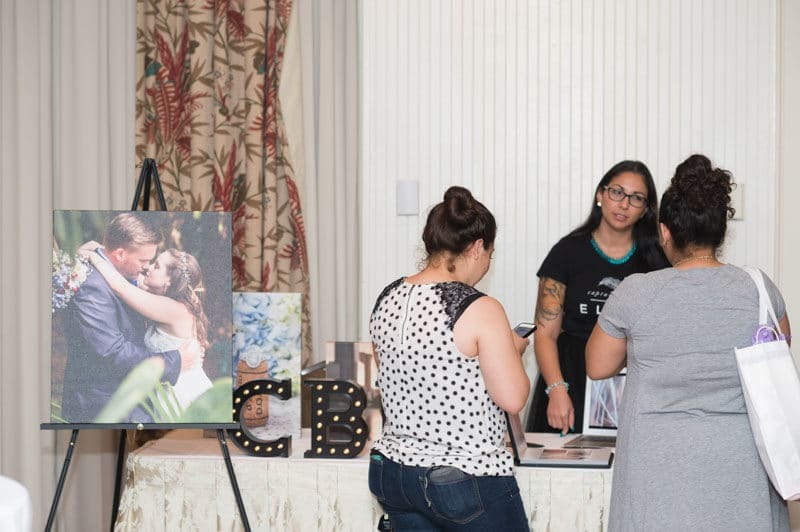 There, brides were able to talk with the vendors that made the evening possible. 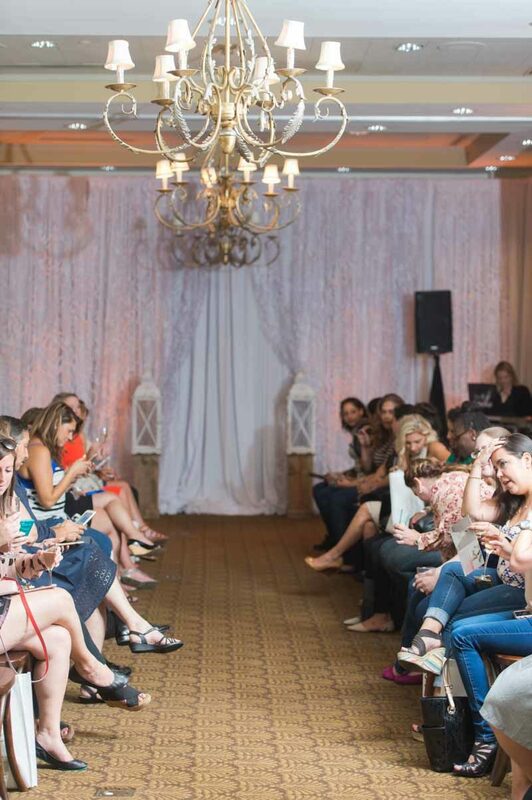 The fashion show, which was MC'd by the fabulous ladies of Our DJ Rocks and decorated with french country chairs and draping from Orlando Wedding and Party Rentals, took place in the ballroom. 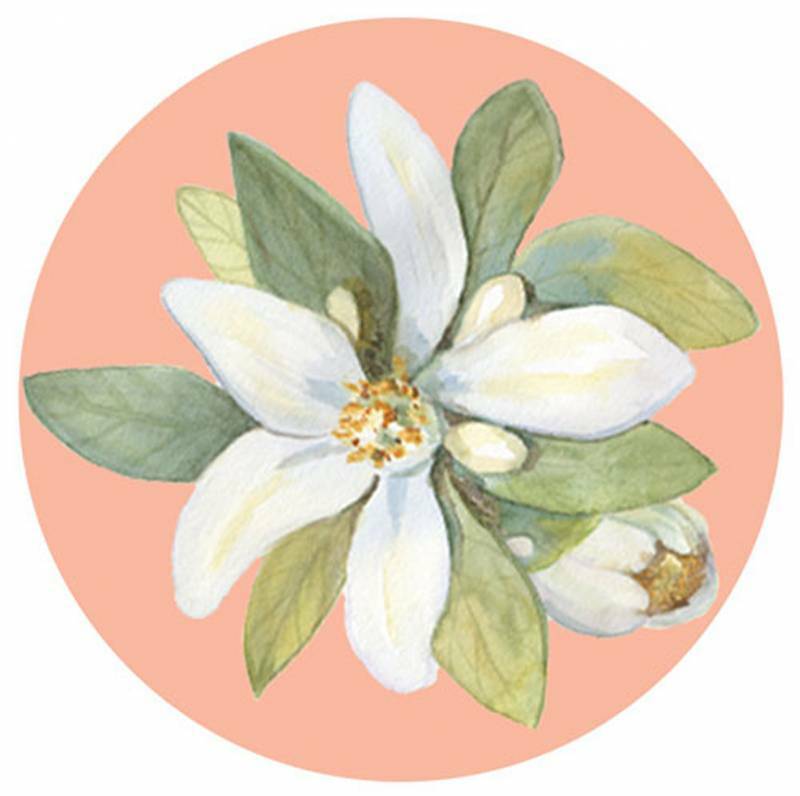 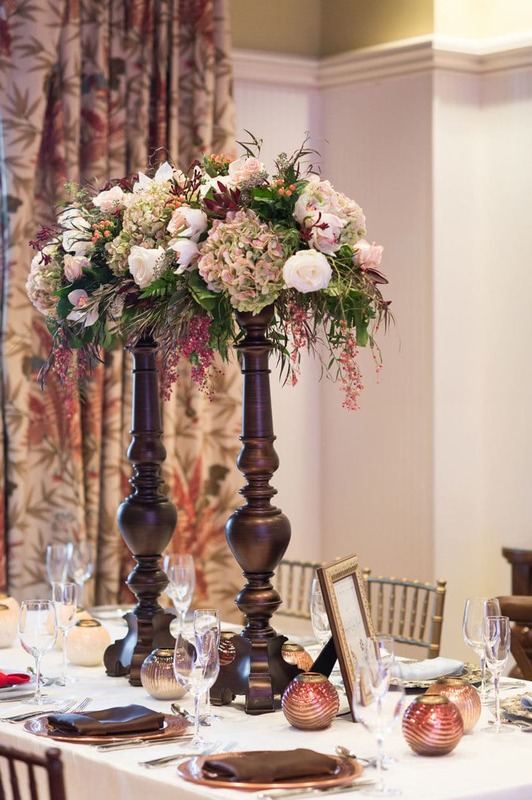 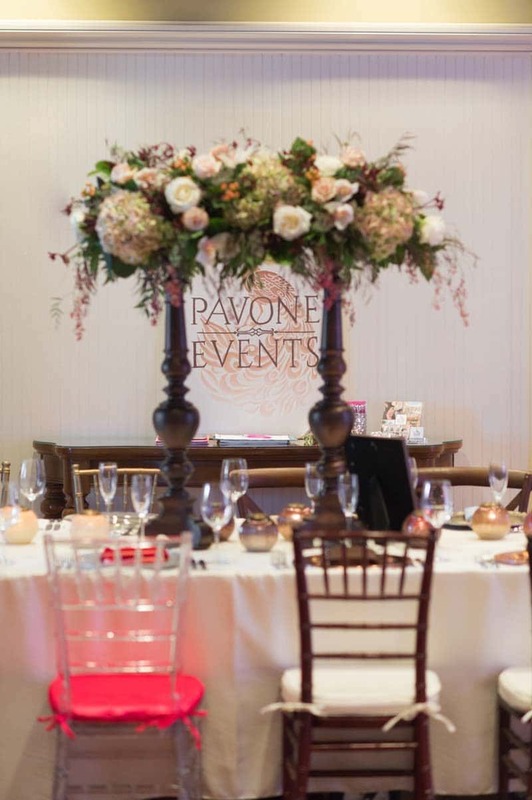 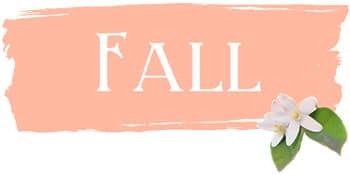 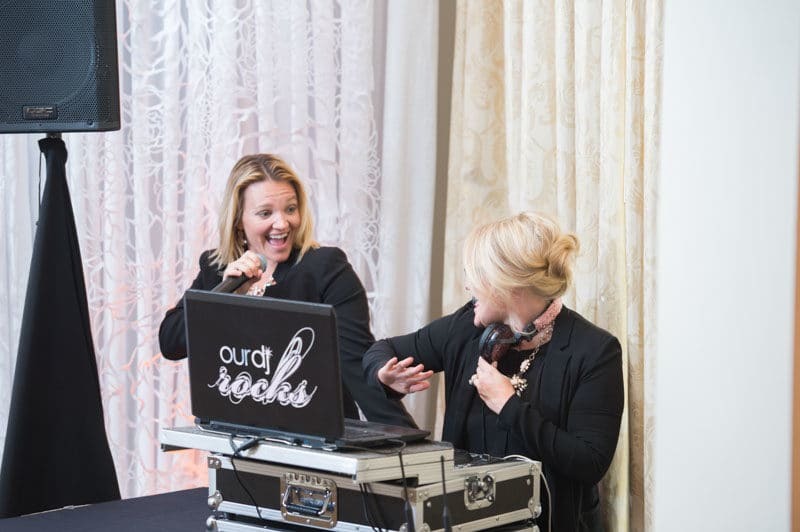 Pavone Events did an incredible job bringing the event together and working alongside the very talented Sarah of Bluegrass Chic on the theme of the evening, which was the four seasons. 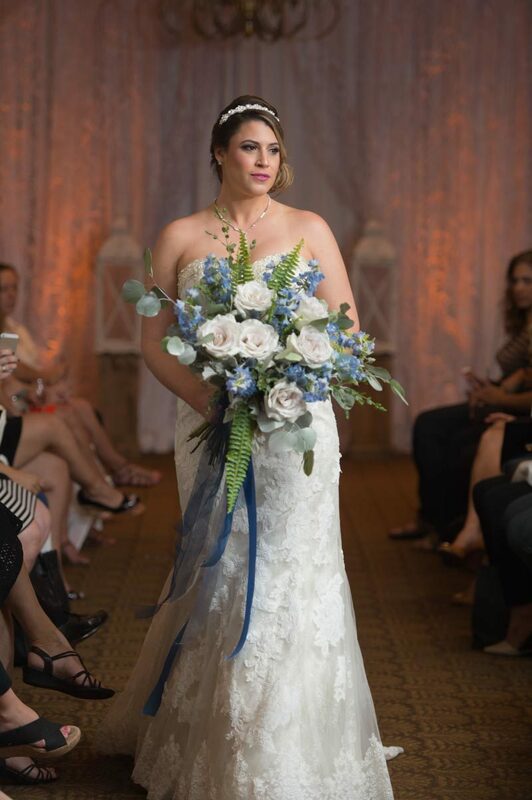 Sarah created amazing bouquets for the models each of which aligned with one of the four seasons, some of these masterpieces will be featured in a later post. 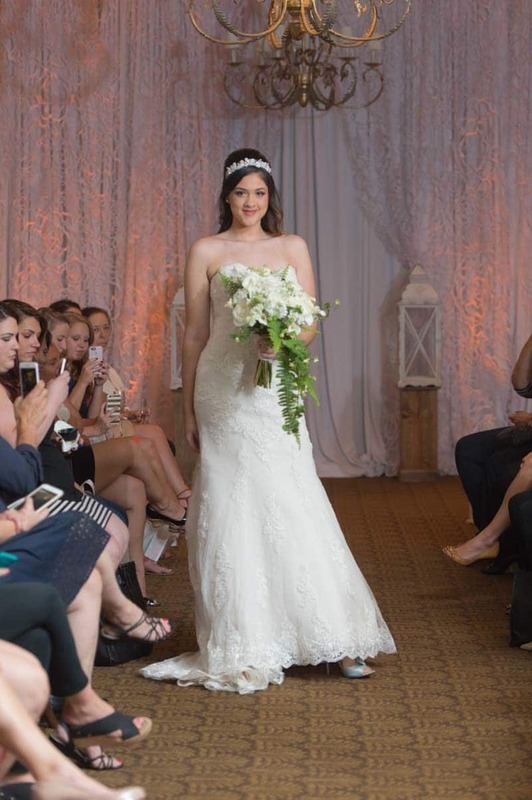 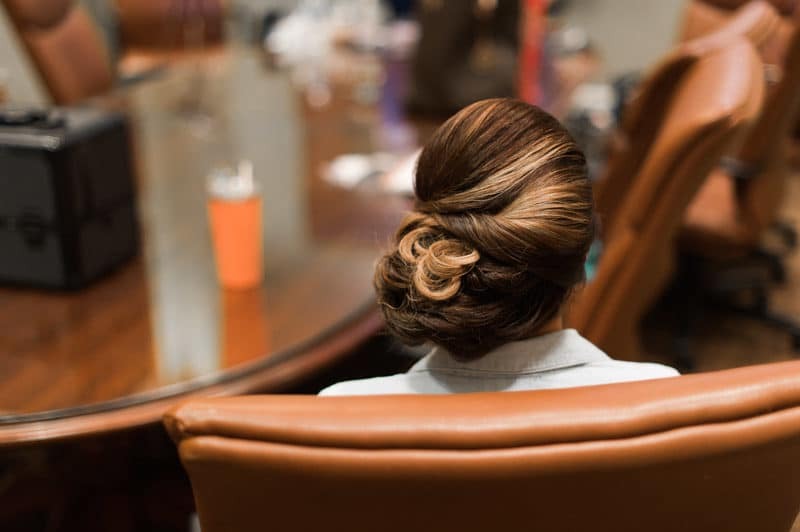 Jackie and Jen from Hairstyles and Makeup by Jackie also created gorgeous looks for our models that blended perfectly with the Badgley Mischka, Justin Alexander, and Maggie Sottero gowns showcased. 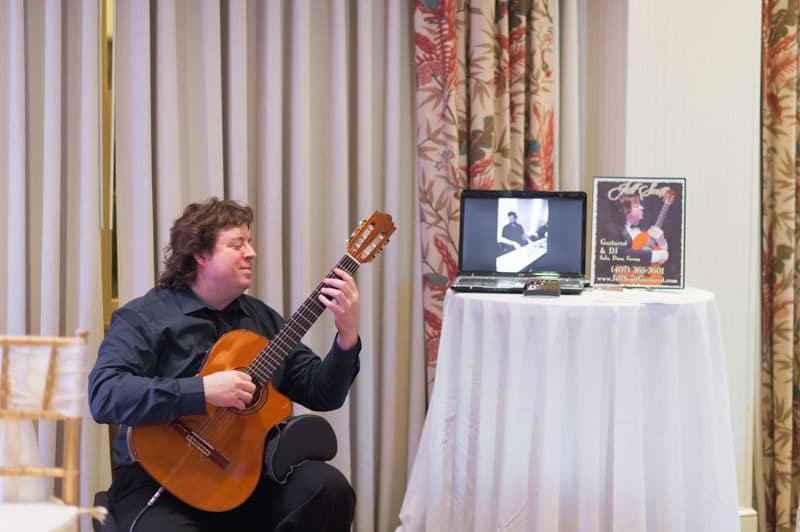 We ended the evening with delicious gelato from Sweet City Gelato and cupcakes by Cut the Cake, as guitarist Jeff Scott performed. 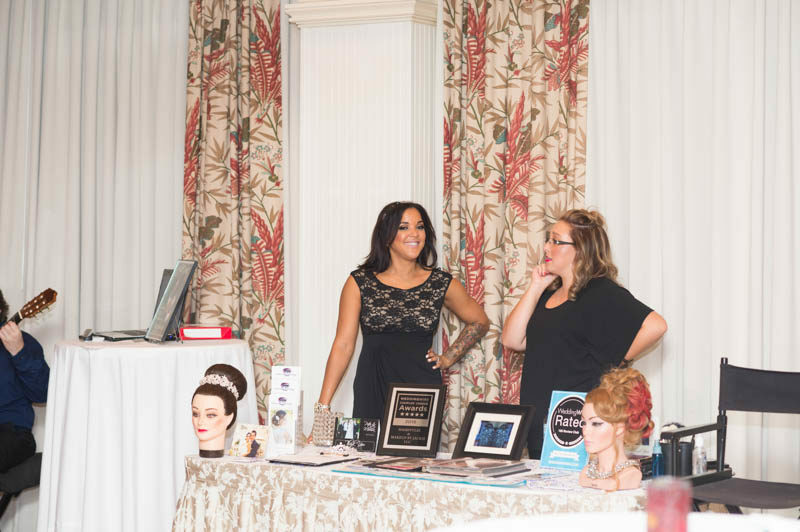 The entire event was captured by the incredible ladies of Leah Langley Photography and Captured by Elle. 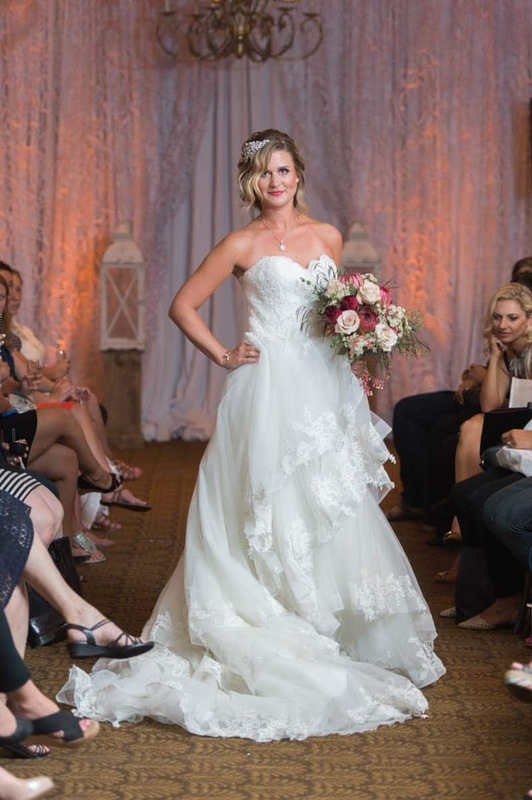 Popular trends this fall are gowns with tiered skirts, which adds dimension and volume. 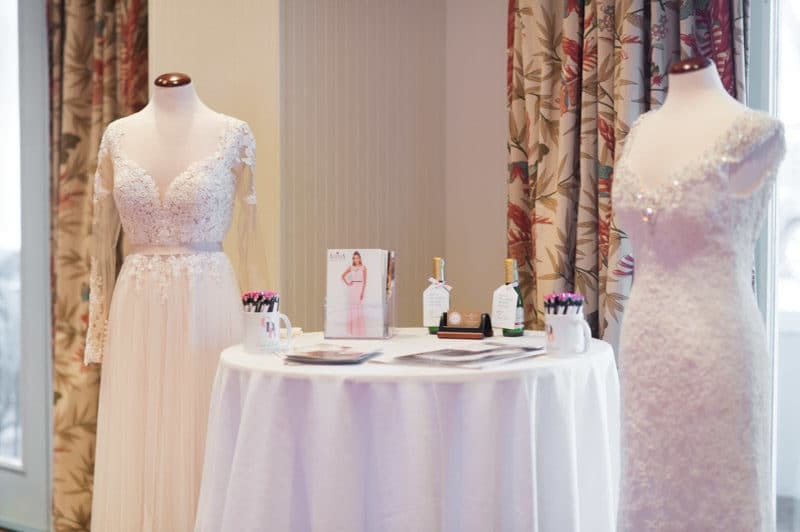 Also popular are texture gowns with beautiful lace appliques that are often enhanced with crystals or beads. 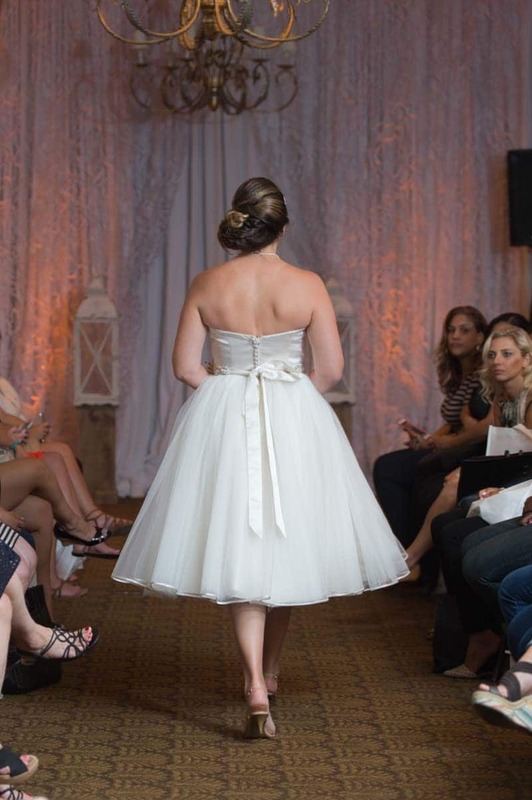 Elegant vintage inspired Justin Alexander ballgown with dropped waist line. 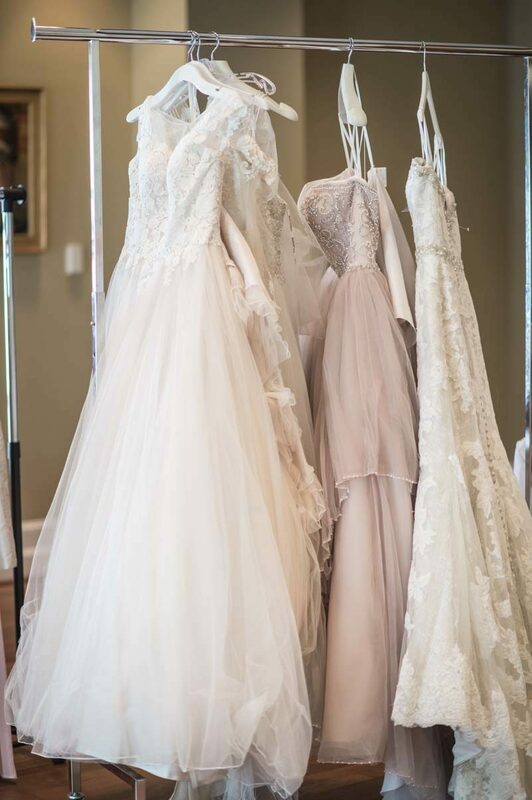 Lovely lace and tulle Essense of Australia A-line gown with beautiful sweetheart neckline. 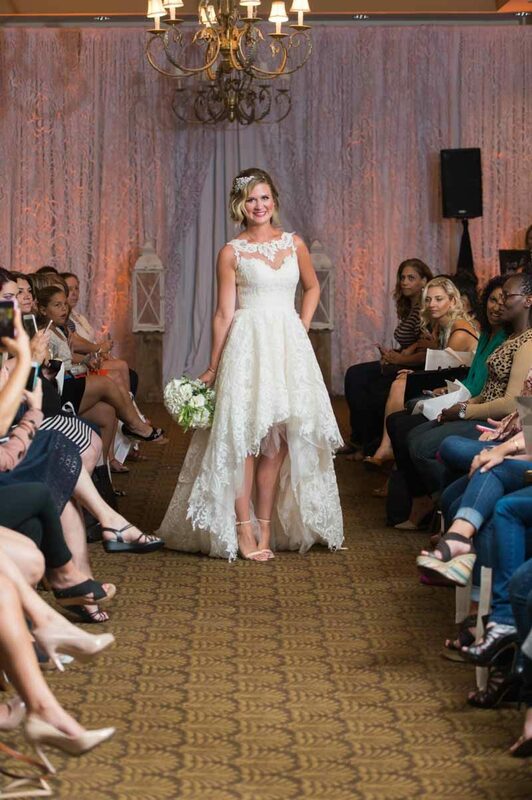 Tiered ballgown with gorgeous lace and chapel length train. 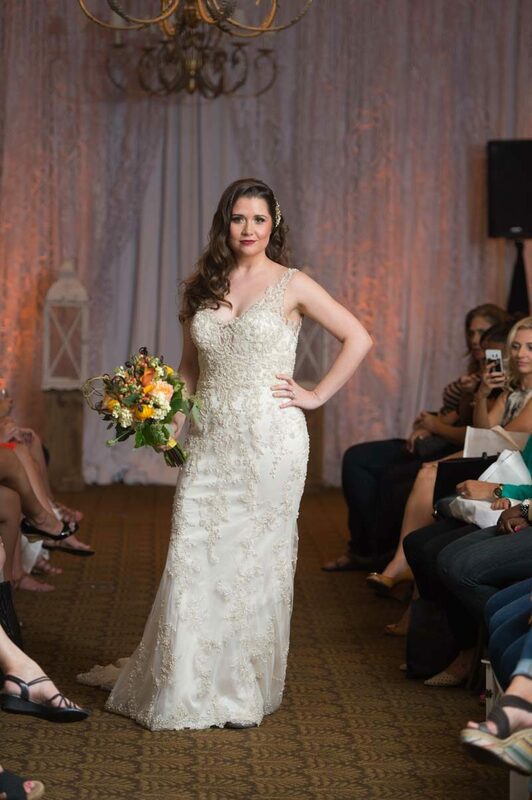 Gorgeous Maggie Sottero gown embellished with Swarovski crystals and plunging neckline. 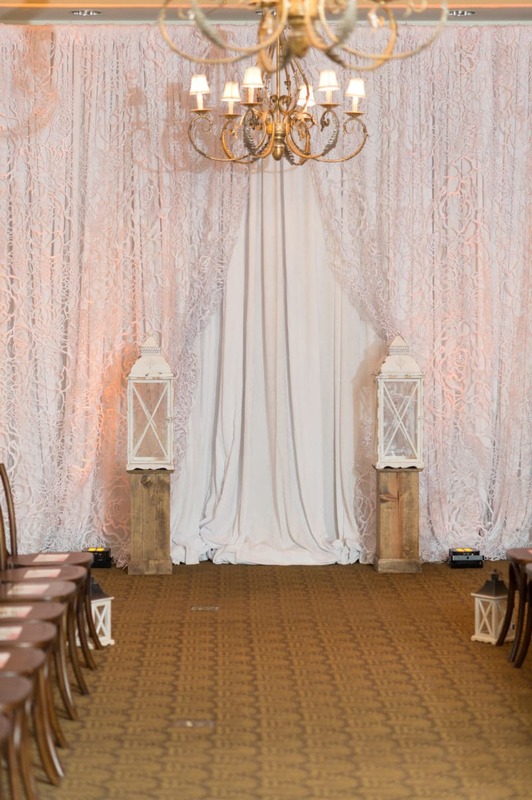 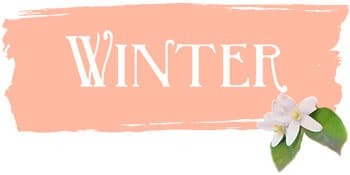 Beautiful illusion sleeves and romantic laces are perfect for a winter wedding in Florida. 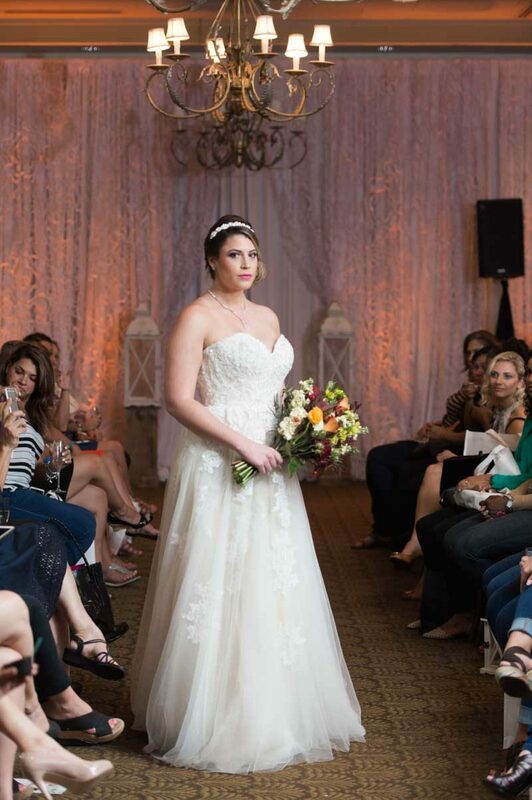 Romantic Justin Alexander tulle ballgown with Sabrina neckline and illusion sleeves. 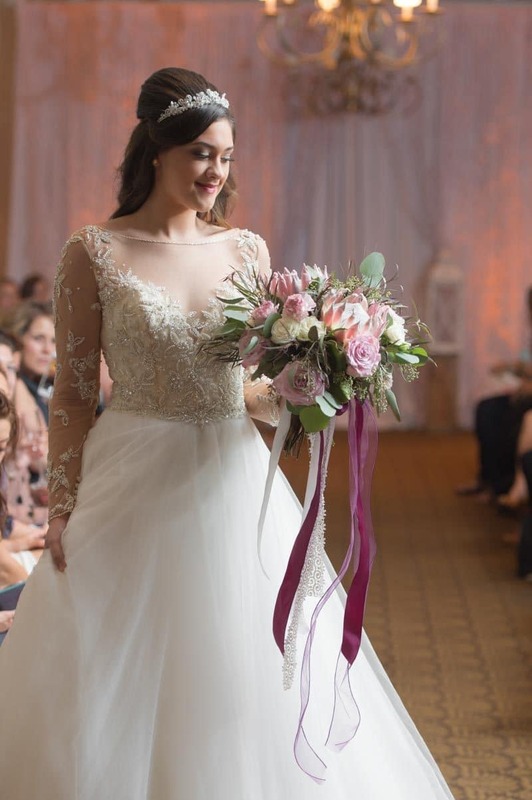 Beautiful fit and flare lace applique gown with sweetheart neckline and satin cover buttons that line the zipper to the end of the chapel length train. 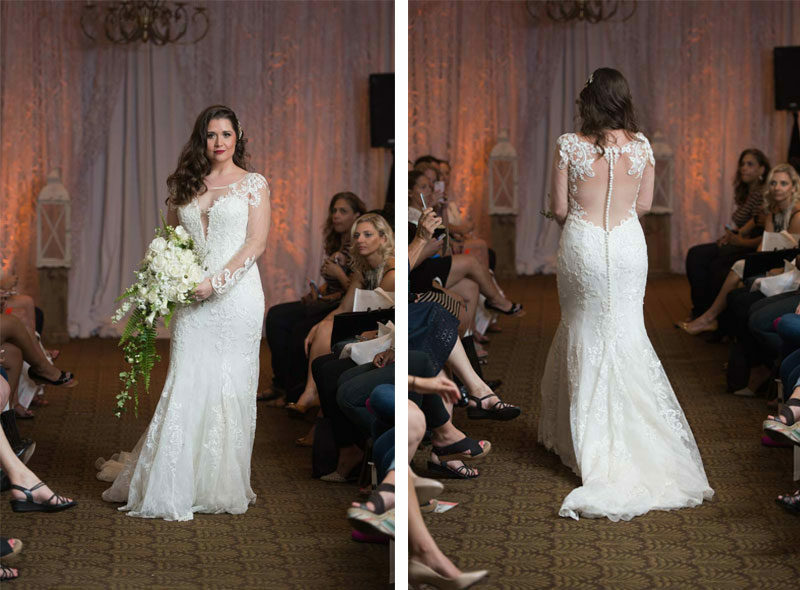 Gorgeous Justin Alexander gown with illusion sleeves and back in plunging neckline and low back. 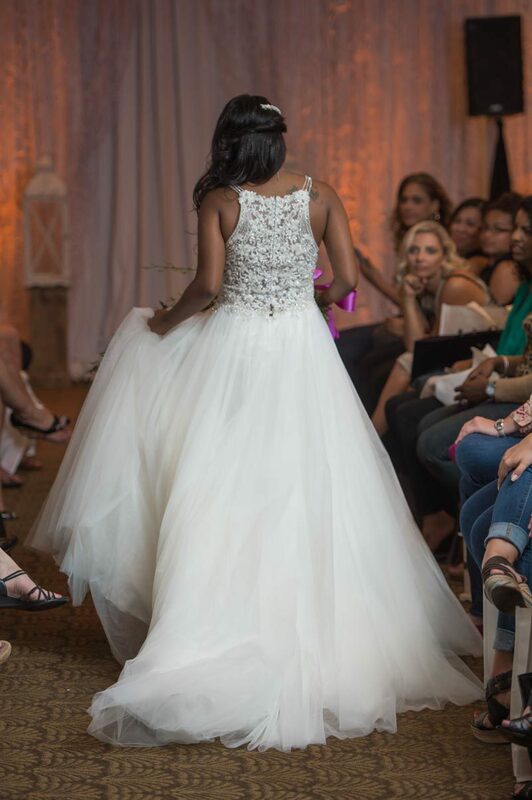 Flirty Maggie Sottero ballgown with tulle skirt, deep neckline, and a stunning beaded lace back. 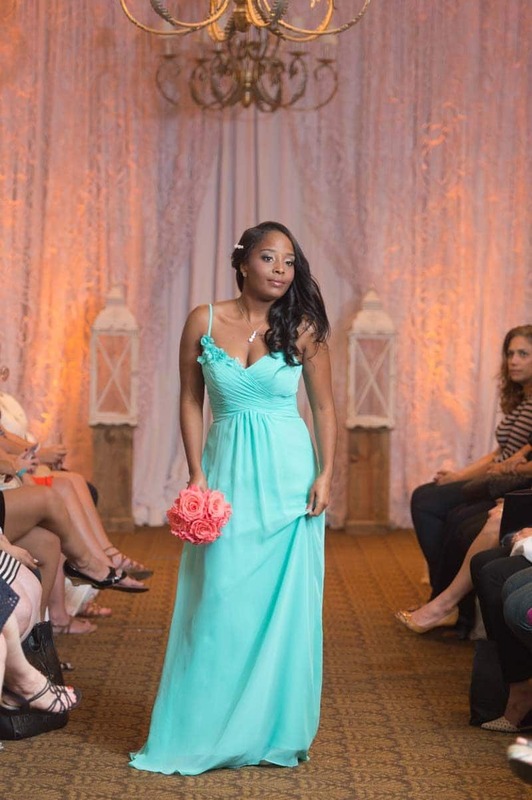 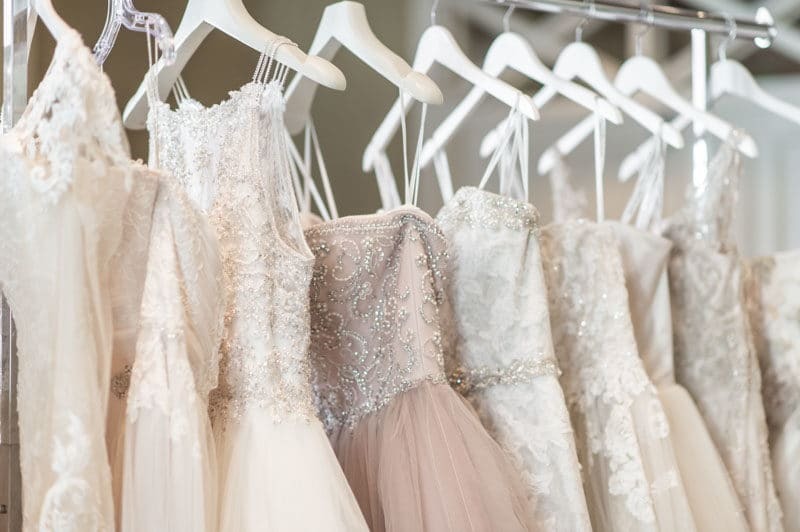 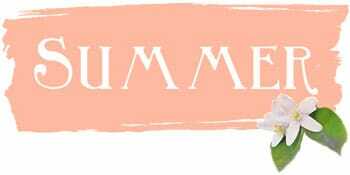 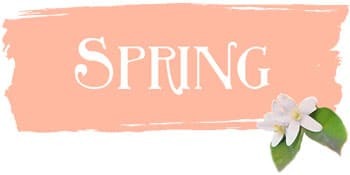 Romantic and flowy, these Spring inspired gowns have plunging necklines and beautiful non-traditional colors. 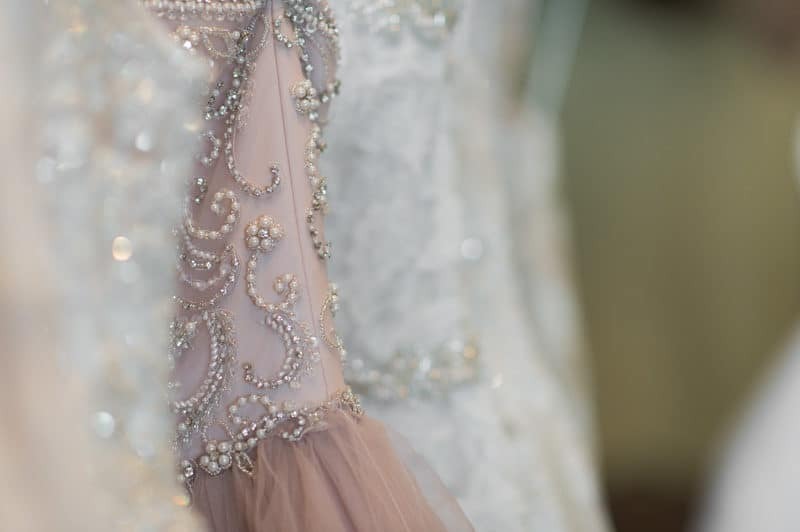 Lovely Badgley Mischka mermaid gown with embrodered lace and sweetheart neckline. 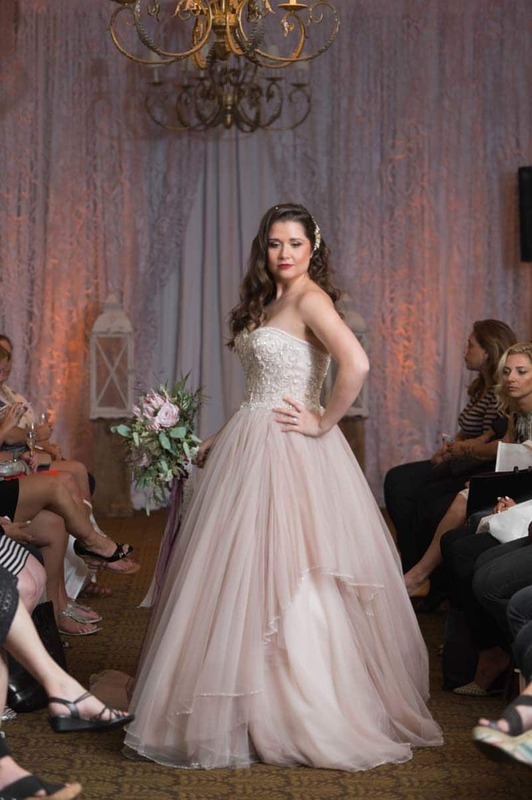 Glamorous blush Justin Alexander ballgown with radiant beaded bodice. 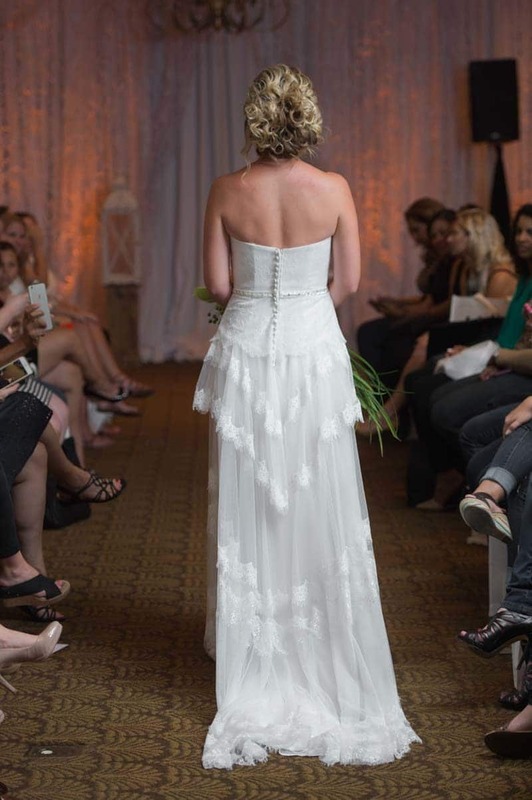 Beautiful fit and flare Essence of Austraila tulle gown with low cut back and beaded lace. 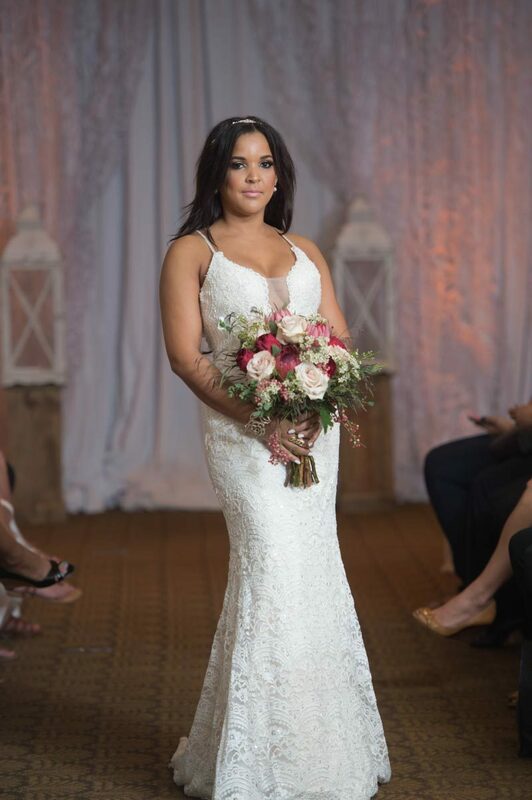 Gorgeous woven lace and delicate beaded straps with an incredible plunging neckline make this Maggie Sottero gown a show stopper. 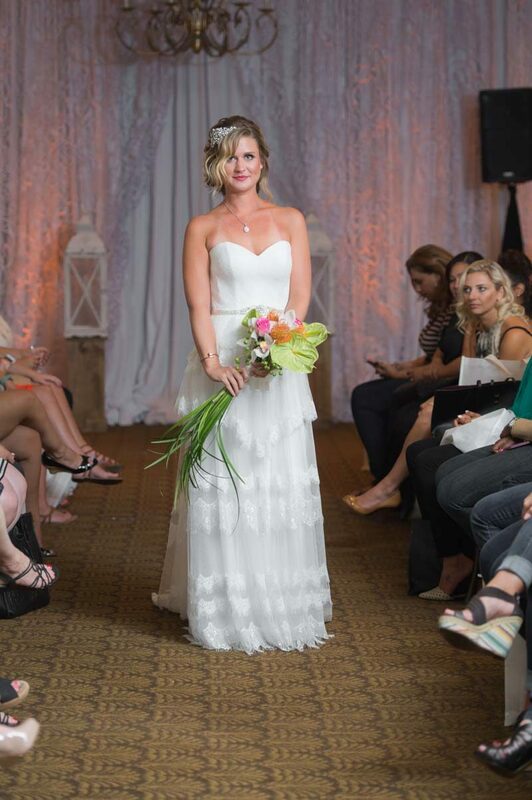 Romantic tiered gown with soft tulle, lace, and beaded belt from Casa di Bella's private collection. 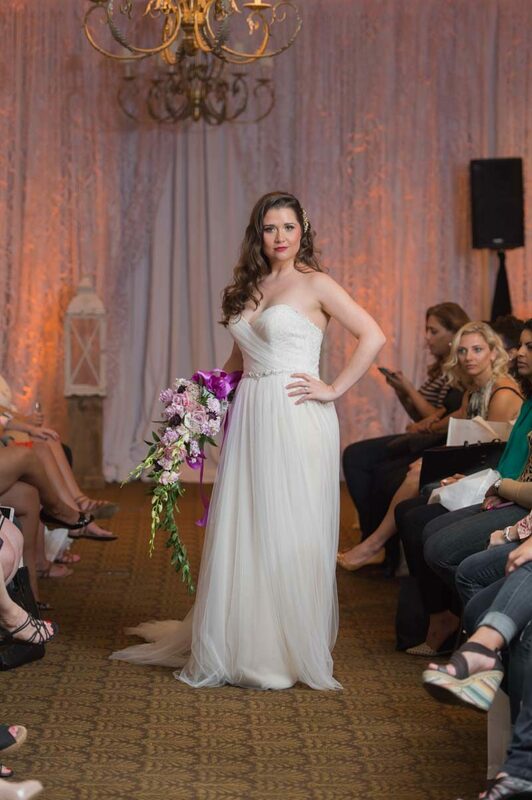 Angelic Maggie Sottero gown with a beautiful Swarovski crystal waist. 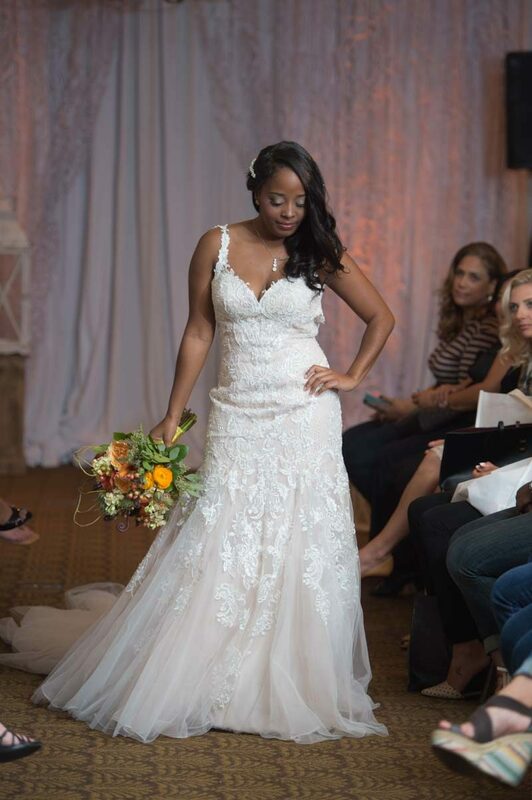 sweetheart neckline, dainty lace appliques on the bodice.